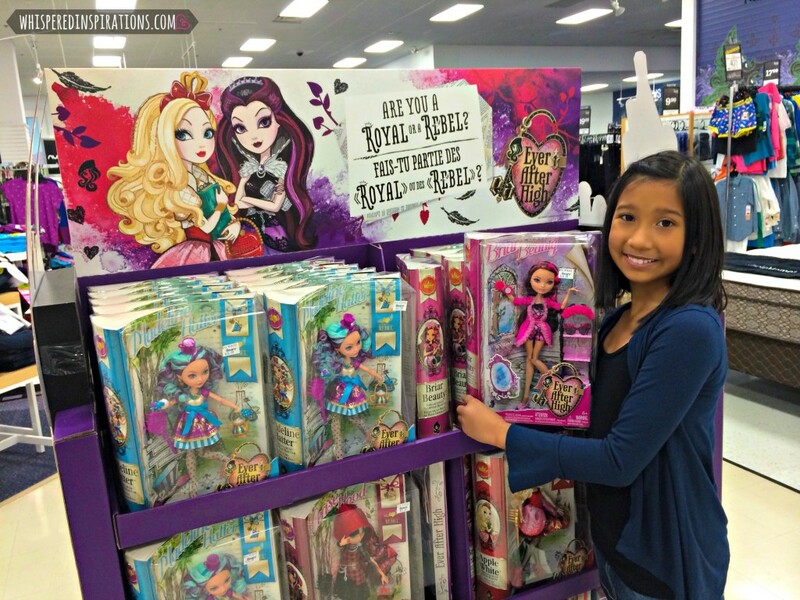 Well, Ever After High is all about encouraging independence and supporting your kids to make their own choices. To be influencers rather than always following the crowd. Having two girls, I always teach them to follow their gut and to go against the grain because they need to be who they are. 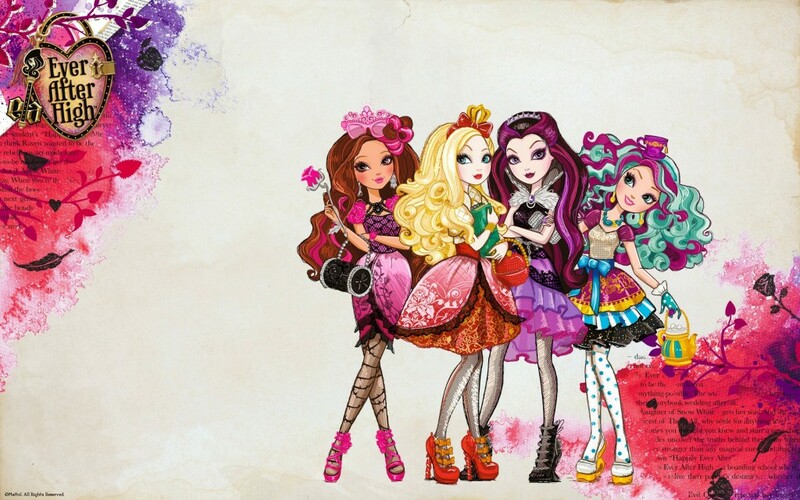 The Ever After High storyline is based on the children of famous fairy tale characters attending high school. The children are destined to follow in their parents’ footsteps to keep their stories alive through generations. If they do not, their stories will cease to exist and they will disappear. The main characters are Raven Queen (daughter of the Evil Queen), who is unhappy with her destiny, and Apple White (daughter of Snow White), who is destined to get a happily ever after. Raven would prefer to create a new destiny for herself, while Apple White believes that Raven writing her own story will put her happily ever after in jeopardy. The school gets divided into “Royals and Rebels”. Having two girls and a very spunky 9 year-old, I love it when I find a show and products that empower girls and help them to make better decisions. Just this year alone, I had to take a step back and a double take too because she is doing her own laundry, making her own snacks and doing chores. She is needing me less and less and is doing more things on her own and without direction. 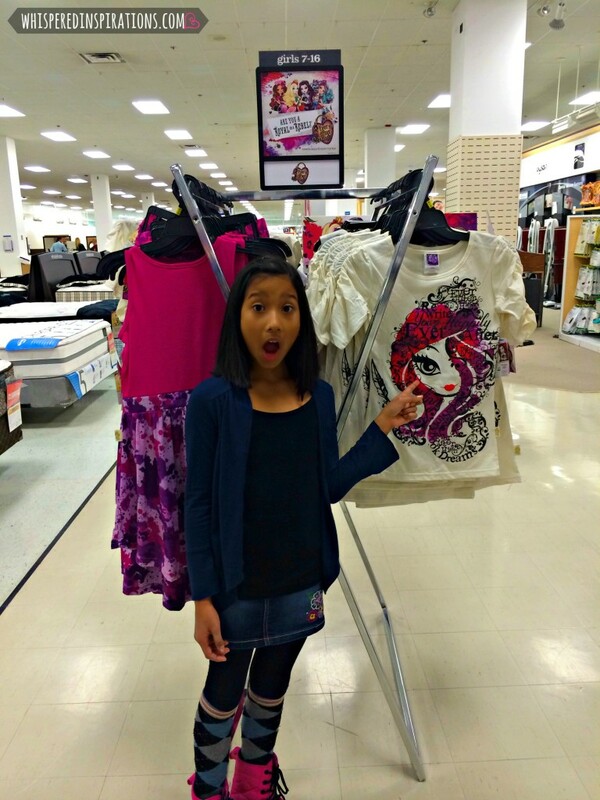 On a recent trip to Sears, Gabby was super excited to find a display of Ever After High dolls and a ton of Ever After High clothes. When I asked her if she was a Royal or a Rebel, she responded a Royal with a little bit of Rebel. That sounds good to me and I was so pleased with that answer. Mom, I Think You Are a Rebel! Growing up, I was definitely a rebel and I learned so many things this way. I learned to step out of my comfort zone and walk to the beat of my own drum and I am so happy that my daughter sees that and has taken the lessons that I learned to heart. Now, my Mimi cakes, I think she’s a chip off the old block and may learn her own lessons throughout her life. As you can see from Gabby’s absolute shock and awe, we discovered that Sears carries lots of cute and fashionista-approved outfits and PJ’s. That way, you can show off your “Royal” or “Rebel” pride wherever you go! Gabby especially loved the printed-tee’s, tights and cute skirts. 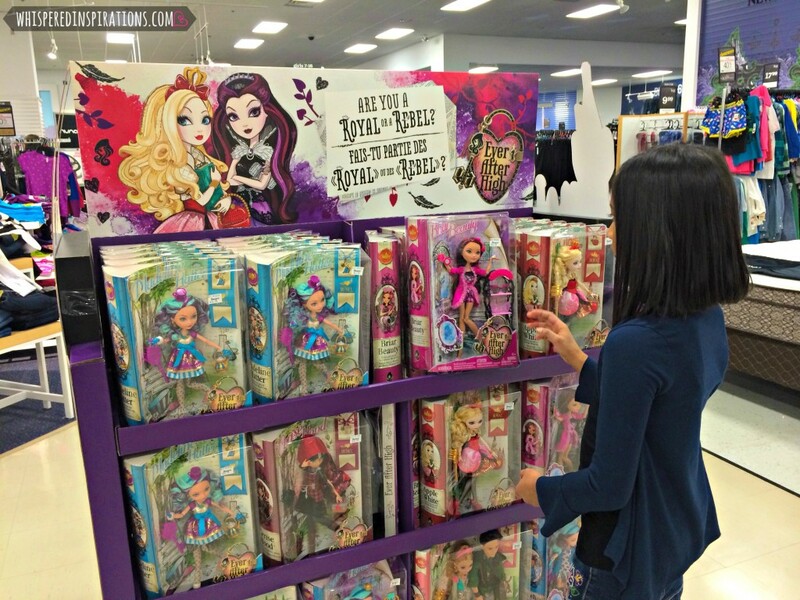 I went over to Sears to check out their Ever After High catalogue and you can snag dolls, clothes, sleepwear and accessories starting from $12.99 and up. All your Ms. Independent needs to do is decide if she’s a Royal or a Rebel. I happen to see a cute little clutch purse that Gabby will love for her Birthday coming up. Win a $50 Sears Gift Card! 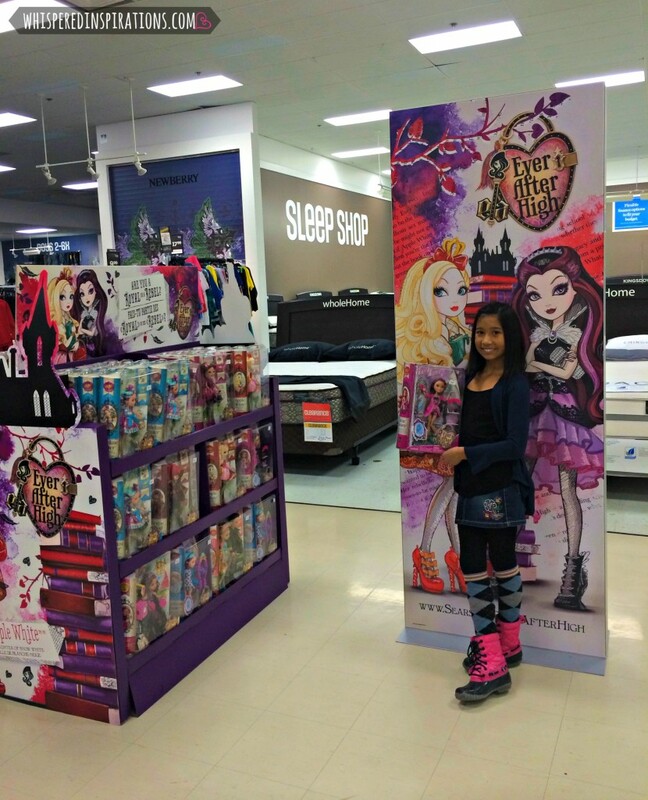 To celebrate the launch of Ever After High at Sears, the awesome people of Sears are giving away a $50 Gift Card! 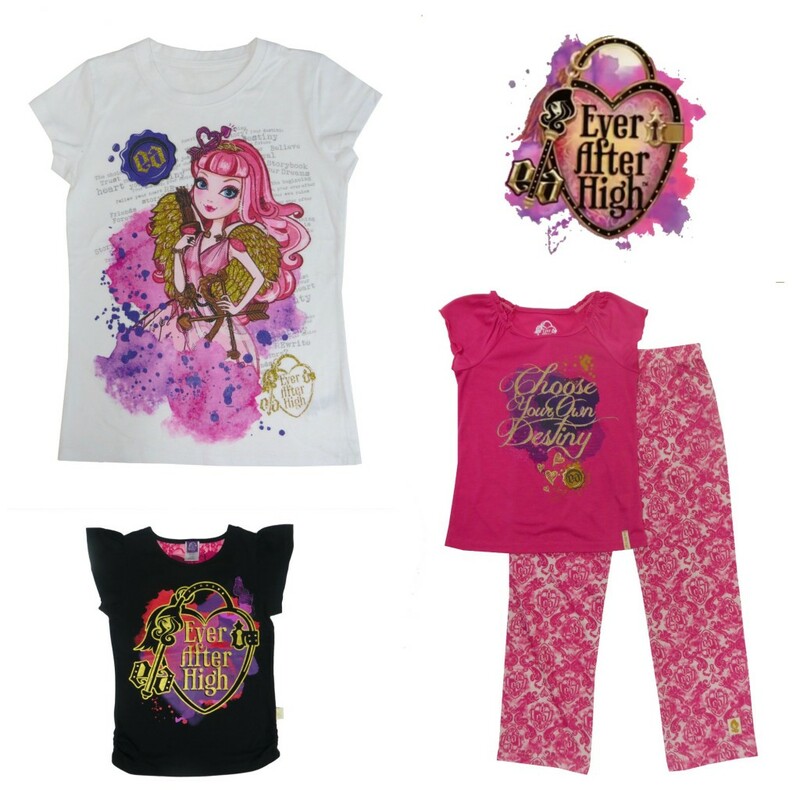 That way, you can visit the Kids Room at Sears and check out all of their new Ever After High Swag. This contest is open to CANADA only and starts on February 14th, 2014 and ends on March 1st, 2014. Do you think the child in your life is a Royal or a Rebel? Note: I am part of the Sears Mom Ambassador program with Mom Central Canada and I receive special perks as part of my affiliation with this group. The opinions on this blog are my own. mine is not a rebel yet but we can olny lead them the way !! Hmmmm my daughter is a little bit of both. I would have to say she's more a Royal though. Love these dolls. My kids are more rebel than royal lol! It looks like my daughter is a rebel! These are so cute. I love the bright colors and fun design! Any toy that encourages independence and strength in girls is great in my book! I think royal with a little bit of rebel is just right! That is too cute. Those dolls are so pretty and sweet! I wish my daughter was still young enough to buy her some! LOL! They are so cute, my daughter wants the whole collection. I'd say I'm a Royal with just a touch of Rebel. Gabby is such a smart girl with a big future ahead of her. I can see that shining through her personality in her videos and photos. She certainly has the personality to be in front of a camera! Awwww, thank-you so much for the kind words. It means so much! I love that she thinks you're a rebel! Awesome! Really cute products. LOL, it made me laugh! My daughters are definitely royals! My daughter was just telling me about this yesterday. We decided we are all rebels. My daughter is definitely a royal. Cute dolls. I love what she's noticed and picked up from you. It's amazing how observant they are. Good modeling, mom! Thanks so much Liz, they surprise us, huh? I've never seen these dolls..will have to learn more about them. My daughter isn't quite old enough for these dolls, but it won't be long! Why have I never heard of Ever After High? I have a daughter who would love this! My daughter has been a royal for years, but there is hint of rebel. They are fairly new, that\’s why we are celebrating by giving away a $50 Gift Card. My 9-year old daughter would love these! Looks like your girl is super excited! My niece is definitely a Royal. She was done up as Cinderella at Disneyland in 2013. How about a rabble rouser (not really a rebel!)? A rebel – my brother works on this animation in this cartoon and it's awesome to see it doing so well. I would have to say Royally Rebellious! I would say a Royal. those are awesome!! rebels all the way! They are all Royal . I would of been a rebel. A bit of Royal and rebel. …ROYAL All The Way !!! I have two daughters, one royal and one rebel. My son is a rebel. My daughter is so a Royal, and # 2 is so a rebel. I love both of them :). I have a teenager boy,so I say a rebel! Most definitely a royal rebel. She's a rebel now and hopefully a royal later! My monkey is definitely a royal. Mine would be a Royal for sure! My children are rebels for sure. A bit of both – but closer to the Rebel. I have one Royal and one Rebel. I have a one royal and one rebel. My daughter is a good mix of Royal and Rebel! These dolls are at Sears stores.